Any competitive trial designed to test the skill of any vehicle driver or the reliability or mechanical condition of any vehicle on the road. Organising, promoting or taking part in any of the above conduct. Because of the serious consequences that may result, it’s important to get the right lawyers on your side to give you a strong defence in your street racing matter. As Sydney’s traffic law specialists, our expert lawyers have extensive experience representing clients in street racing matters and fight hard to have the charges dropped early on in the proceedings. Read on to find out how we can help you win your street racing case. It can be incredibly frustrating being charged with street racing, especially as there is the potential for you to lose your vehicle for a lengthy amount of time if your are found guilty. One way is by showing that police do not have sufficient evidence to prove the offence. That you organised, promoted or took part in a competitive trial designed to test the skill of any vehicle driver, or about the reliability or mechanical condition of any vehicle. The police only need to prove one of these categories for you to be found guilty of the offence. However, if you don’t feel that the police are about to prove one of these categories, you might want to discuss the option of pleading ‘not guilty’ with our highly experienced traffic lawyers. We have the knowledge and experience necessary to give you the best possible advice when it comes to fighting the charges, and in many cases we are able to have charges dropped at an early stage by carefully examining all the evidence to find problems with the prosecution case. Should your matter proceed to court, our exceptional advocates can help you present any evidence to prove your side of the story, along with any defences which explain your actions. Defences that you may be able to use include where you were coerced or threatened into street racing – this is also known as duress. If you are willing to accept the charges against you, you can choose to enter a plea of ‘guilty.’ You will then be sentenced, which is where the magistrate or judge determines the appropriate penalty. Often, pleading guilty at an early stage in the proceedings is a good idea, as it shows the court that you have accepted responsibility for your actions. This can help persuade the magistrate to give you a lighter penalty than you otherwise would have got if you had been found guilty by the court. Our experienced lawyers have extensive experience fighting street racing matters and can help you secure a lenient penalty for you if you end up pleading guilty. If you are the owner of the vehicle: Your vehicle may be clamped and impounded for up to 3 months. If you are not the owner of the vehicle: The court can issue a ‘suspension warning notice’ to the owner of the vehicle warning them that if the vehicle is used in a second offence, the vehicle’s registration can be suspended for up to 3 months. If you are the owner of the vehicle: Your vehicle may be forfeited to the government and sold, or used in crash testing. If you are not the owner of the vehicle: If it is the second offence in five years, the vehicle’s registration can be suspended for up to 3 months. If it is the third offence in five years, the vehicle can be forfeited to the government and used in crash testing. While these penalties may seem harsh, it’s important to remember that they are maximum penalties – meaning that they will only apply in the most serious cases. It will be up to the magistrate to determine the appropriate penalty based on the facts and circumstances of your case – so it is important to ensure that you are being represented by an experienced traffic lawyer. Our defence team has considerable experience presenting compelling sentencing submissions and will focus on all the positive facts of your case to maximise your chances of securing a lenient penalty. 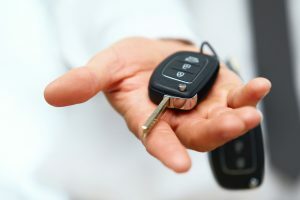 In certain cases, we may be able to persuade the magistrate to deal with the matter by way of a section 10 dismissal or conditional release order – meaning that you will not receive a conviction or fine or be disqualified from driving. When Can Police Impound Cars? Intensive Traffic Offenders Rehabilitation Program (TORP) – Now also at Parramatta When can Police Suspend my Licence on the Spot? Do I Have to Answer Police Questions if I’ve been in an Accident? What are the Penalties in Sydney for Street Racing?